Stop by the Boku booth at Earth Day and receive a free sample of Superfood! ith the Thomas Fire more than a year behind us, we are watching our scarred mountains turn green once again. While the cycle of life continues around us, Food for Thought Ojai is in classrooms and school gardens helping students engage in the timeless activities of sprouting seeds, tending seedlings, stewarding plants to our plates and harvesting seeds for the cycle to repeat. Cali Piccirillo to involve the school libraries. Piccirillo’s passion for seeds resulted in a beautiful book she authored for elementary-school students explaining the how and why of seed saving, accompanied by gorgeous botanical illustrations by local artist Stephen Jones. The “Save a Seed” book is available at all seed libraries and used in our Garden-based Learning curriculum. all students’ ability to grow their own food. We ascribe to the belief that sharing seeds is sharing knowledge. Food for Thought Ojai has been working to educate, support and inspire healthier food choices for students and families of the valley for more than 15 years. Our work staffing, maintaining and stewarding elementary-school gardens has been one of our most visible accomplishments and has provided many thousands of hours of handon experiences for students. Ojai is celebrated for our citrus and avocado orchards, but there are many children in our valley who lack access to an area for planting a home garden. Our work in the gardens, growing food with students, taste-testing the seasonal produce and harvesting seeds and produce to share with families at produce stands has emerged as a wildly successful way to incorporate health, art and environmental lessons into “bite-size” portions of the day during weekly Garden Clubs. The Nordhoff High School garden has been restored, improved and maintained by environmental field studies classes with funding for supplies and guidance from Food for Thought Ojai since 2014. It will be incorporating plant propagation in the new greenhouse space. As a co-sponsor of the annual Ojai Seed Swap for the past few years — along with Ojai Valley Green Coalition and Center for Regenerative Agriculture — Food for Thought Ojai has witnessed the increasing enthusiasm for free open pollinated seeds and regeneration. It is our hope that our work with the youngest of the valley’s residents deepens our connection to seeds and that these cycles continue. Please follow us on Facebook or Instagram for updates on plant and seed sales. Happy Earth Day! Lori Hamor is executive director of Food for Thought Ojai. OVLC Trail 101 free guided hikes with trained docents April 6, 8 to 10 a.m. Ojai Meadows Preserve: Birds & Natural History. April 12, 10 a.m. to noon Ojai Meadows Preserve: Wildflower Walk. April 13, noon to 2 p.m. Ojai Meadows Preserve: Wildflower Walk. April 27, time TBA Ventura River Preserve: Wills Canyon to El Nido Meadow. June 18, 8:30 to 11:30 a.m. Ventura River Preserve: Details TBA. Visit ovlc.org/events for more information, more walks and to register. and Riverview trailheads in Meiners Oaks, and the Old Baldwin Trailhead in Mira Monte. From the Old Baldwin Trailhead, there is a short paved ADA-accessible trail, which then branches out into a series of Lower River Loop trails. If you park at the Oso Trailhead, you can be at the edge of the Ventura River within minutes. From here, you can rock hop across the Ventura River and hike along the Orange Grove Trail. This trail highlights one of our most recent restoration efforts — the conversion of an abandoned orange orchard into future coast live oak habitat. Or, for the more adventurous, you can connect many of the trails together, including the Chaparral Crest Trail and Oso Ridge Trail, and create an all-day adventure on foot, bike or horse. We especially love Wills Canyon Trail to El Nido Meadow with its old-growth oaks offering a beautiful shaded canyon walk. The options are endless! 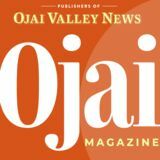 Do you want to hike in the Ojai Valley but aren’t quite sure where to start? Try Trail 101! These are guided hikes on our preserves with trained docents. Not only will you get to explore Ojai Valley Land Conservancy trails, you’ll also learn about the plants, wildlife and history of the preserve. Wheeler Gorge Visitor Center hosts educational events each Saturday between May 18 and September 7. Pick up your copy of our 2019 Summer Event Program at the Center or online. The Visitor Center has information to help with your visit into the forest including maps, books, drinks and eats. Come meet our California Condor named "Freedom" along with displays of many of his local critter friends. We hope to see you soon at Wheeler Gorge Visitor Center. for over 60 wineries & 250 wines, more than 35 craft breweries, Lakefront VIP Lounge with Hors d’oeuvres, a selection of local restaurants, fine artisan vendors, silent auction, fine crystal souvenir wine glass, free boat rides and all-day entertainment! Organically improving gardens through water catchment systems, composting, compost teas & extracts, and mulching. Native and Mediterranean garden specialists. Are you ready to switch to an appropriate Southern California landscape? Creating an edible, medicinal landscape Creating and supporting an edible and medicinal landscape in Ojai requires supporting the growth of diverse types of plants and nourishing the soil. We can choose plants that are easy to grow here while providing them the healthy soils they need. and particularly actively aerated compost teas helps return healthy biology to the roots of plants. This is one strategy of regenerative agriculture that we can apply at the homeowner scale. Plants feed soils and soils feed plants. Find out more about the Center of Regenerative Agriculture regeneration programs at ojaicra. org or contact me at info@ojaicra.org. David White, Ph.D., of Ojai is executive director of the Center for Regenerative Agriculture. Each day, our Executive Chef Juana Juarez and in-house dining staff take great pride in serving fresh, healthy, and delicious meals to our community. Locally sourced ingredients are included in all meals! Fruit trees line our campus, and Ojai’s Rio Gozo Farm sustainably cultivates organic herbs and veggies on eight acres of our campus’ land. This creates a unique farm-to-table experience full of seasonal, organic produce, while providing special learning opportunities for students studying Environmental Science and Sustainable Agriculture. We welcome you to arrange a visit, discover our school, and join us for lunch! Farmer Lyz and Chef Juana talk kale on the campus farm. 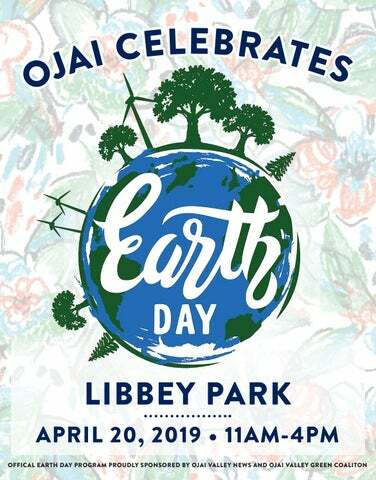 GOOD TO KNOW Some fun facts and some not-so-fun facts about the environment Earth Day was founded by Sen. •Gaylord Nelson on April 22, 1970. million people participated •in Twenty the first Earth Day. More than 100 billion pieces of • junk mail are delivered in the United States each year. The United States buried or •burned more than 166 million tons of resources — paper, plastic, metals, glass and organic materials — in landfills and incinerators last year. It only takes about six weeks total to •manufacture, fill, sell, recycle and then remanufacture an aluminum beverage can. million jobs in the United States. three to five times •Recycling saves the energy that wasteincinerator power plants generate. 90 percent of our discards, by 2030, we could save 406 megatons of carbon dioxide equivalent every year. This is the equivalent to shutting down 21 percent of our nation’s coal-fired power plants. More than 76 percent of cardboard boxes and 72 percent of newspaper were recycled in 2006, but less than 50 percent of printing and writing paper was recycled. article, Mark Hoddle, director of UC Riverside’s Center for Invasive Species, predicts: “Without shade trees, water temperatures will rise and algae will bloom in riparian areas. As a result, fish, frog and native insect populations will diminish, along with the pleasure of hiking, because there’ll be nothing to look at but dead boughs of trees.” A treeless community sounds pretty dismal, but we aren’t there yet and that is why on this Earth Day, Ojai Trees is asking residents to plant native trees and keep the trees you have alive. We hope the residents of Ojai and our City Council will continue to take a proactive stance to protect our tree canopy. As our planting chant says, “Trees need people, people need trees.” Ojai’s trees need you. To find out more about our organization, its tree-dedication program, donate or get involved. Go to our website, www.ojaitrees.org, email us at trees@ojaitrees.org, and follow us on FaceBook.